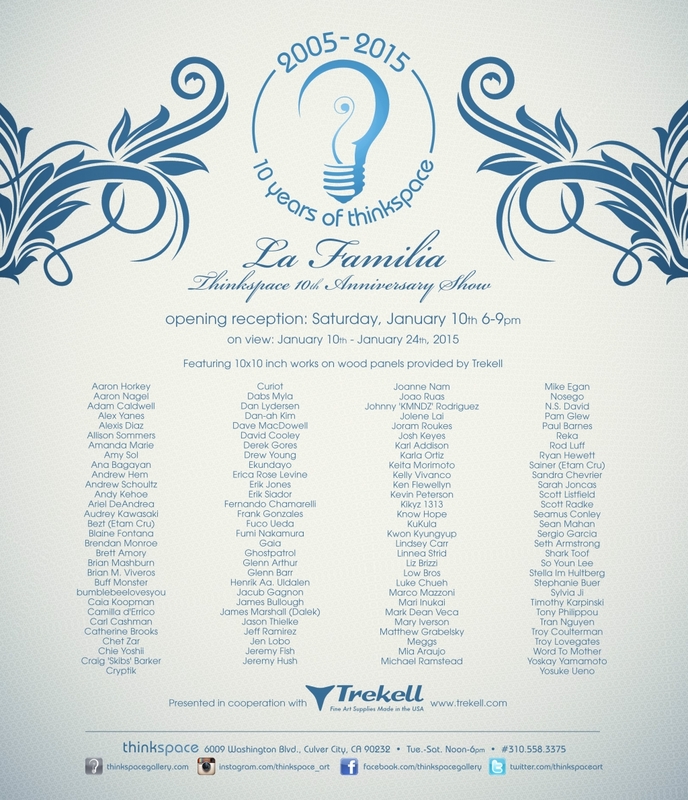 Thinkspace (Los Angeles) – is pleased to celebrate its ten year anniversary with La Familia, a group exhibition featuring over 120 small works, and huge talent, by the gallery’s permanent roster and extended family. Co-presented with Trekell, each artist will produce a 10” x 10” work on panel to commemorate the gallery’s fortuitous milestone, and to commend the creativity of all those who have built the foundations for its future. This special exhibition is dedicated to the growing strength of our numbers and, most importantly, to our artists. Since its beginning in 2005, the gallery has sustained its commitment to young and emerging art, building a foundation and platform for the New Contemporary movement. Founded in community and partnership, we have been pursuing a gallery model that extends beyond the white cube into something far more passionate and personal. With a vested interest in the support and promotion of our roster as individuals, we celebrate not only the gallery’s decade mark with La Familia, but the artists who have made our gallery great, vital, and ten years strong. We are humbled by their visionary voices, entities we strive to uphold, and have been building more than a gallery together, we have been building a movement. At the close of an incredibly successful year, we are grateful to be gearing up for yet another important one ahead, and the gallery’s most ambitious to date. With an exciting exhibition schedule on the horizon including pop-up projects, two major museum shows, and more art fairs, it’s safe to say that we are just getting started. 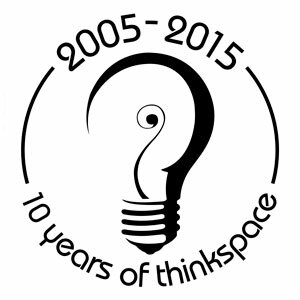 We look forward to sharing the upcoming year with you and have our sights set on the next ten.